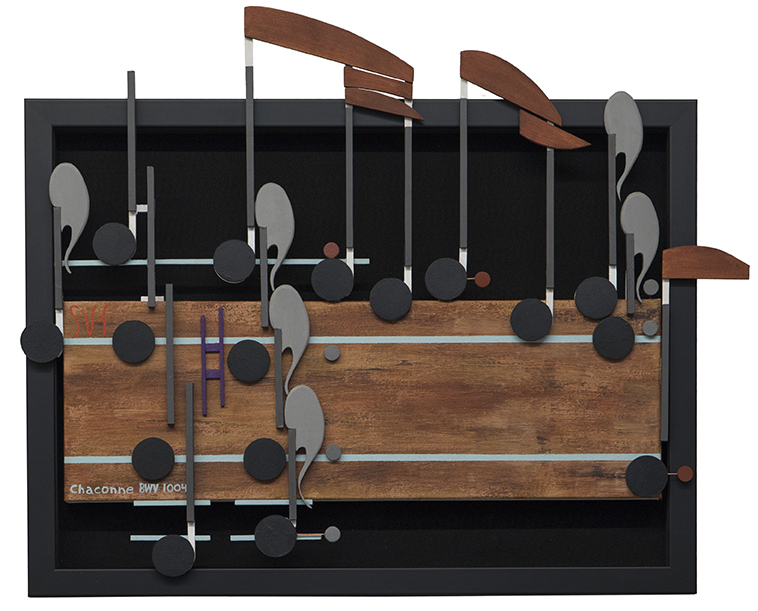 This first image of Giant Steps shows the pieces that I have made so far for this artwork. Once painted and glue together I can than map out the music flow to make sure everything fits on the two 60 inch by six-inch frames. I will connect the frames one above the other, after attaching all the music. The importance Giant Steps by John Coltrane, I knew, but it wasn’t until I watched the video on Giant Steps “The most feared song in jazz,” that I had the incentive to paint it. Since this video also involves a lot of discussion of music theory, I found that attractive. What finally convinced me to do Giant Steps was how well Africa’s rectangle format worked for that music. The rectangle format allows me to create larger works with more music while keep the artwork length reasonable, under eight feet (longer lengths makes storage an issue). Using the rectangle format, with two frames for the music instead of one long frame, cuts the length of Giant Steps down from over ten to five feet. Even though the stacking of the music was new, I felt disappointment with Africa. Stylistically there was only small differences with Africa from the other 2018 artworks, like Vogue, or the Turkish March. The answer to that was the rediscovery of So What. Finding the video on John Coltrane’s Giant Steps, and at the same time taking a second look at a forgotten artwork, I found the new direction I was looking for after Africa. So What was my birthday painting in the summer of 2017. 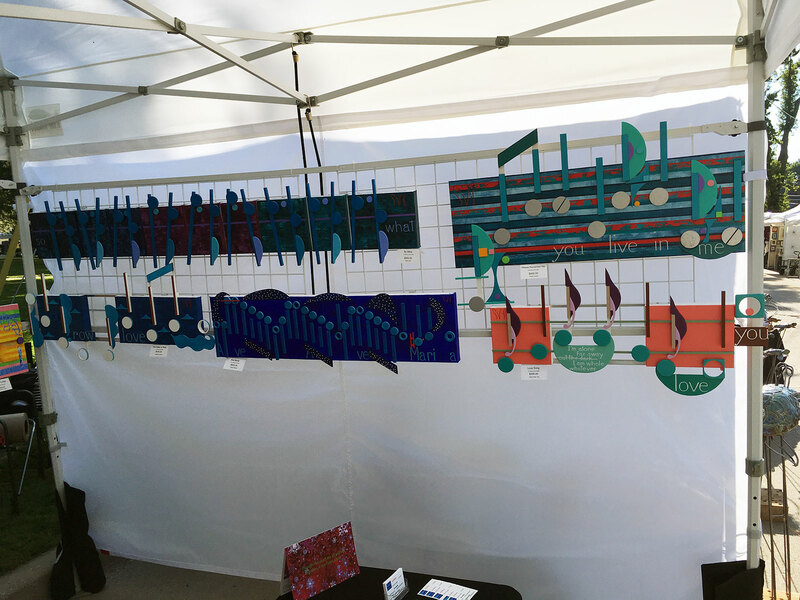 This Miles Davis artwork had its first showing at The Art in the Park Art Craft Fair in Appleton, the day before my birthday. ~ by Scott Von Holzen on 01/19/2019.